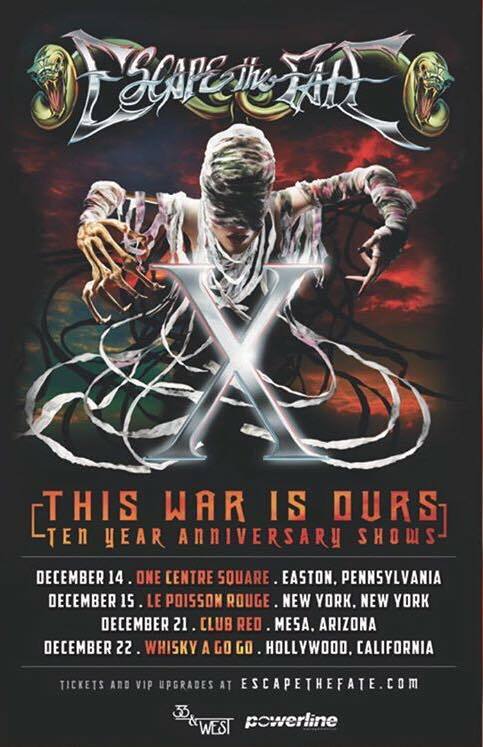 EXCLUSIVE: Escape The Fate Will Be Playing 'This War Is Ours' Front to Back in 2018! 10/15/18: This story has been updated to include the official tour poster. Our source close to the band has confirmed that they'll be playing their best album, 'This War Is Ours' front to back in 2018. Monte and Max will likely not return, per our source. Who's excited? The album (the band's 3rd most successful) is really where Escape The Fate came into their own, commercially and artistically.